Fringe will move to Fridays beginning on January 21, 2011. As part of a special “Tweet-Along” event, John Noble will be tweeting LIVE during this Thursday’s all-new episode. For more information, visit http://bit.ly/FringeTweet. Follow John on Twitter at www.twitter.com/labdad1, and use #FringeLiveTweet to submit your questions directly to him on Thursday. FRINGE is a procedural thriller that follows the Fringe Team as they investigate unbelievable events and mysterious occurrences linked throughout the world in pursuit of a larger, more shocking truth. 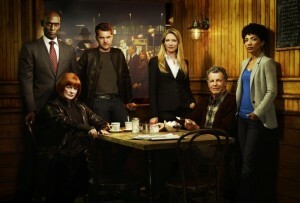 The series stars Anna Torv, Joshua Jackson, John Noble, Lance Reddick, Blair Brown and Jasika Nicole. Created by J.J. Abrams & Alex Kurtzman & Roberto Orci, FRINGE is produced by Bad Robot Productions in association with Warner Bros. Television. Abrams, Bryan Burk, Jeff Pinkner, J.H. Wyman and Joe Chappelle serve as executive producers, while Kurtzman and Orci are consulting producers. Additionally, Pinkner and Wyman serve as the series’ showrunners. Become a fan of the series on Facebook at www.facebook.com/fringe and follow the series on Twitter at www.twitter.com/fringeonfox. Firefly on Friday nights on FOX… they’re really asking for it, aren’t they?